One-of-a kind venue set to open its doors early 2016 in the epicenter of Miami’s Downtown Brickell area. 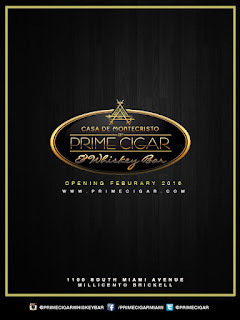 January 5, 2015- Brickell-Miami is ready to welcome Casa De Montecristo by Prime Cigar & Whiskey Bar, a sanctuary where “sophisticated relaxation” isn’t just their motto, but a way of life. Prime Cigar’s first location in Boca Raton, set them apart as the premier cigar bar in South Florida. They will now partner with Altadis USA, one of the world’s top premium cigar manufacturers, to unveil a one of kind cigar and whisky lounge, with a Miami twist. The new establishment opens its doors in early 2016, located in the heart of Miami’s business district, at Brickell’s newly built 1100 Millecento residential tower. Prime Cigars’ founders, Jason Reznik and Ryan Leeds, decided on the 4,700 square foot location at the Millecento, as Brickell has become one of Miami’s most dynamic neighborhoods, where business and nightlife seem to live together seamlessly. The upscale bar and lounge, will feature a walk-in humidor, full-bar stocked with exclusive and hard to find whiskeys, member’s lounge, and private board room. Custom furniture and design elements (which exude simple elegance) will please the cigar aficionados, or those looking for a unique experience, for a rare whiskey, craft cocktails, or a nightcap. The establishment also features a “vintage collector’s room,” which houses unique and vintage cigars. Ryan Leeds stated:” Our goal with Prime Cigar, was to create an atmosphere where patrons could slow down. We wanted an environment where friends and colleagues could spend quality time. We wanted a place where fathers and sons can create the same type of experiences that my father and I shared. 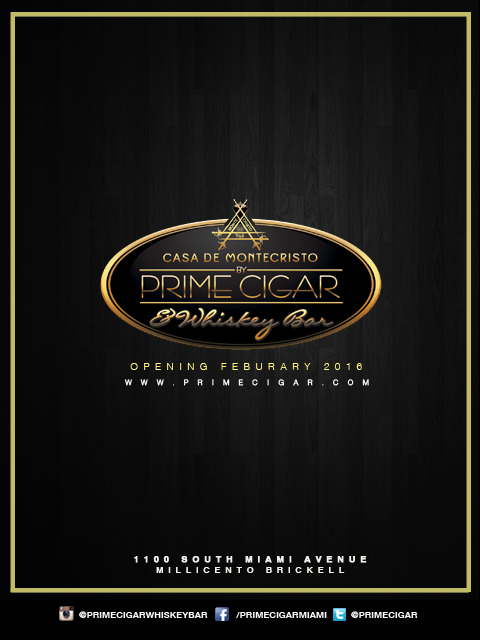 We are excited to partner Prime Cigar with Montecristo and bring our brand of “Sophisticated Relaxation” to the Miami-Dade public. Founded in 2010, Prime Cigar & Wine Bar is a cigar bar and lounge featuring premium cigars, top-shelf spirits, and fine wines. Prime Cigar delivers a “sophisticated relaxation” experience to all its guests and boasts a state-of-the-art air control system, ensuring a comfortable smoke-friendly environment.